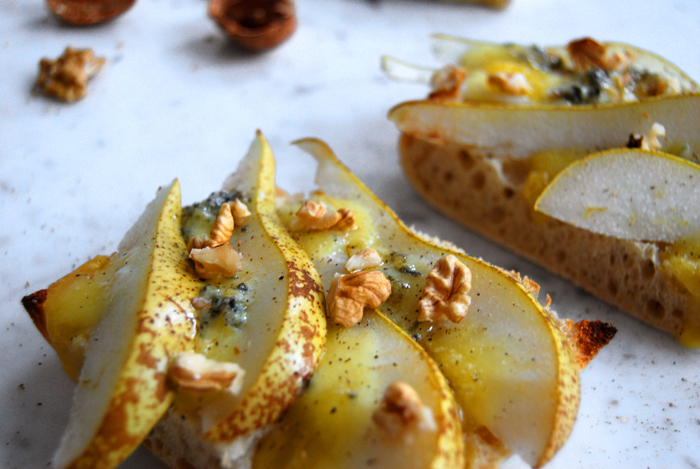 Ripe Stilton and crisp Abate pear are the perfect match for my sandwich. I layer thin slices of the juicy fruit and crumbs of the blue cheese on thick white bread and put it in under the grill, just until the cheese starts to bubble and the bread is slightly roasted. The spiciness of the creamy English cheese and the sweetness of the pear are a heavenly combination. I once used this duo as a topping for my Quiche and everybody loved it but I must say, it’s just as good on my sandwich and quicker to prepare. 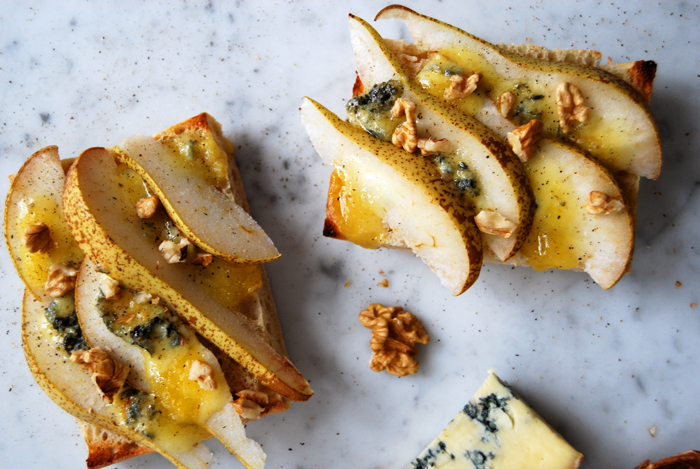 All you need is a loaf of white bread (I use fresh spelt Ciabatta), a crisp pear like Abate and around 100g / 3.5 ounces of ripe, spicy Stilton (or any other blue cheese). Prepare your sandwich, finish under the grill and sprinkle with some walnuts and black pepper. 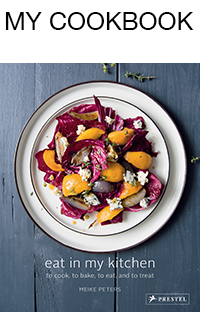 You can treat 2-4 people to this wonderful snack, at lunch or as a starter at a dinner party and you can be sure you will make them very happy! Hello Marigene! The Stilton was very ripe and spicy, just how I love it! When I prepared the sandwich I had to stop myself from nibbling it but It was worth it to be patient: the bubbling melted blue cheese was divine together with the pear. It was so good I had to put a second sandwich under the grill! 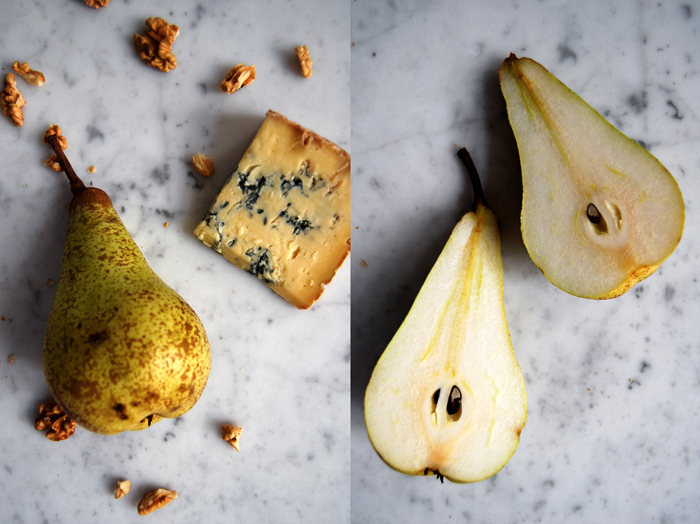 What a perfect union…Stilton is my favorite cheese.